Rudovic Jugoslav, can you read me. Over . Jugoslav, I know your on nett and not to much mobile, so I use my blogg to talk to you. Im paddling out at ca 0900, and its 70 km to your friend in Gorna Vinca. I have a head wind and do not know if I make it… I post where I am here. Maybe Ill make Beograd, maybe Mr Dejan. We will see what St Peter do whit this day.. 😉 on my note say; stop at 1146/47 donau sign. You are right.Somewhere there he suppose to wait for you. If he don’t please call or message me on my mobile. 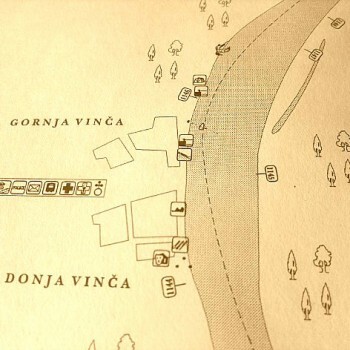 But first please, send message to him when you are in Belgrade and give him enough time to come on the river bank. I smal. Donau big. Serbia pretty !